The official Vue.js guide helps you get started with the Vue framework. 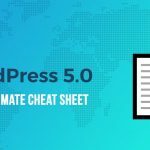 It includes a comprehensive learning guide, the Vue.js API documentation, the official code style guide, code examples, and more. You can also get in touch with the Vue community by joining the forum or chat, or attending a meetup. Vue CLI 3 provides you with a standard toolkit for rapid Vue.js development. It has out-of-the-box support for developer tools like Babel, PostCSS, TypeScript, ESLint, and others. It also comes with a graphical user interface that lets you quickly prototype your Vue.js app. You can install Vue CLI 3 with the npm and Yarn package managers. Vue Starter is a Vue.js boilerplate for production-ready PWAs (progressive web applications). It focuses on performance and development speed and has an impressive 90+ Lighthouse score. Vue Starter is an opinionated boilerplate using tons of optimizations and best practices. If you want to create a PWA using Vue.js, this is your go-to boilerplate. Vue Design System is an open-source boilerplate for building UI design systems with Vue.js. It includes a set of tools, patterns, and practices you can use as a foundation for your project. Vue Design System is built on top of the Vue Styleguidist style guide generator, Webpack, and Theo (Salesforce’s design token tool). To see what you can create with Vue Design System, have a look at the live demo on their site. Nuxt.js is a popular Vue.js framework that lets you create performance-optimized user interfaces and single page applications. It makes server-side rendering (SSR) of Vue.js applications possible. SSR improves the SEO of your web apps and results in more responsive UIs. Nuxt.js has a modular architecture, with 50+ modules you can choose from. Hare is a web application boilerplate that allows you to create full-stack applications with Vue.js. Besides Vue, it’s based on the Element UI library, Nuxt.js, and the Koa 2.x Node.js framework. You can install Hare with the Yarn and PM2 package managers. 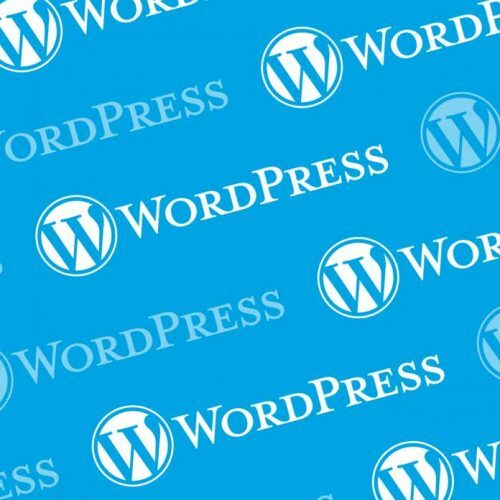 Vue.js WordPress Theme Starter helps you create your own WordPress theme using Vue.js on the front-end. It’s based on the BlankSlate WordPress starter theme. VueRouter and the Vuex state management pattern are included in the project. The starter theme follows the development guidelines of Vue.js and comes with Firebase support. 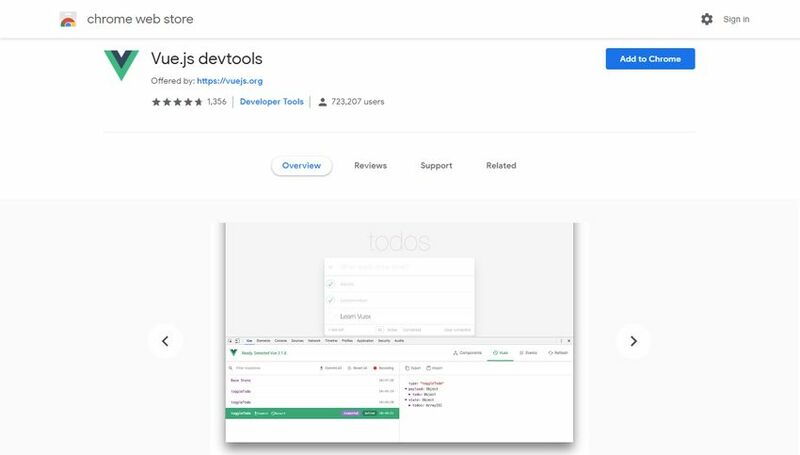 Vue.js DevTools for Firefox is a browser extension you can add to your Firefox DevTools. It extends your developer tools with an extra “Vue” tab that lets you analyze and debug your Vue.js applications. You can inspect your components, states, events, and more. You can have a look at the source code of the project on GitHub, too. Vue.js DevTools for Chrome allows you to add a “Vue” tab to your Chrome DevTools. 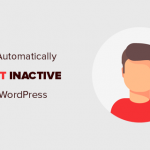 It’s a simple Chrome extension you can install with a single click. It’s based on the same GitHub project as the aforementioned Vue.js DevTools for Firefox. You can use it to inspect your Vue.js components, states, and events right in the browser. The Vue.js package for Atom adds Vue component support to the popular Atom source code editor. You can install it from the Settings > Install menu of the Atom editor. The package extends your editor with syntax highlighting and Vue.js code snippets. The Vue.js Extension Pack is a collection of Vue-related extensions for the Visual Studio Code editor. It adds syntax highlighting, code formatting, and code snippets to your .vue files. It also includes additional developer packages such as ESLint, auto close tags, IntelliSense, and a few others. You can install it from the Extensions panel of Visual Studio Code. 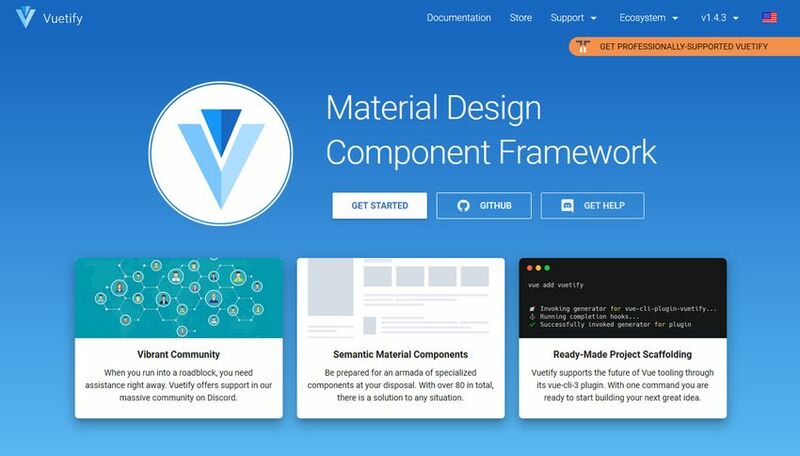 Vuetify is a popular Vue.js component framework that follows Google’s Material Design guidelines. 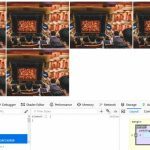 It provides you with 80+ semantic and reusable Vue components such as cards, carousels, buttons, icons, toolbars, and other design elements. Vuetify supports all modern web browsers—even IE11 and Safari 9+ (with polyfills). It also comes with ready-made project scaffolding so that you can start building your Vue.js app with one single command. Bootstrap-Vue is a comprehensive implementation of the Bootstrap 4 front-end framework for Vue.js projects. It adds a Bootstrap 4 grid system to your Vue applications. It also allows you to use BS4 components such as dropdowns, alerts, buttons, inputs, and others in your Vue projects. Bootstrap-Vue comes with extensive and automated WAI-ARIA accessibility markup, too. 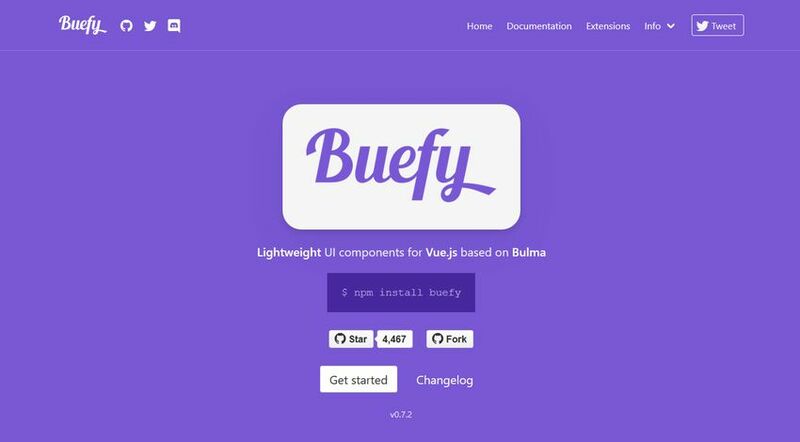 Buefy is a responsive UI component library for Vue.js, based on the Bulma front-end framework. As Bulma is built on flexbox, Buefy lets you use flexbox-powered components in your Vue apps. It’s a very lightweight library, as apart from Bulma, it doesn’t have any other internal dependencies. It supports both Font Awesome and Material Design Icons, too. Element UI is currently one of the most popular Vue.js 2.0 UI toolkits. 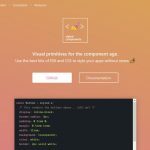 It provides you with loads of customizable Vue components you can use to build a professional-looking web application. Element UI has a huge community and it’s under active development with new commits being pushed every day. To get started quickly, you can use Element UI’s starter kit, generated by Vue CLI. 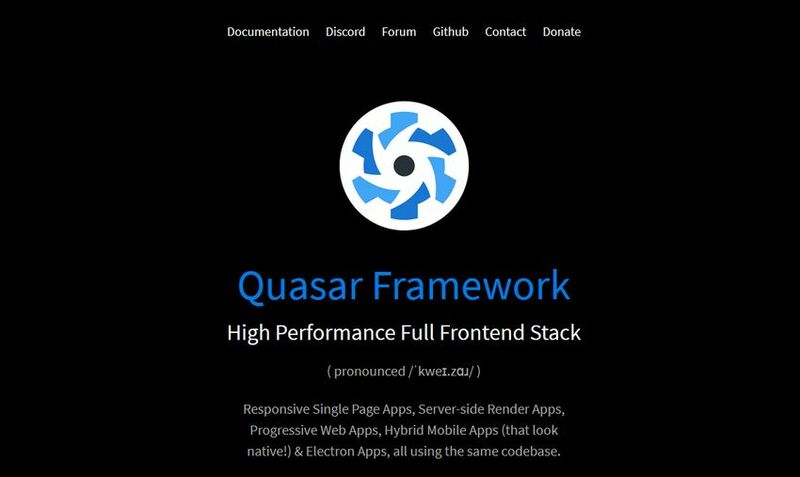 The Quasar Framework is a Vue-powered front-end framework for creating single page apps, PWAs, hybrid mobile apps, server-side rendered apps, and Electron apps. It follows web development best practices such as HTML/CSS/JS minification, cache busting, source mapping, linting, and more. It’s packed with tons of responsive Vue.js components that cater to every need. Cube UI is a mobile UI component library created with Vue.js. The components come with full unit tests and have been tested in production for more than a year, so you can safely use them. Cube components look pretty similar to native mobile components—with subtle animations and quick responses to user-generated events. You can customize the components according to your needs by editing the theme.styl file. 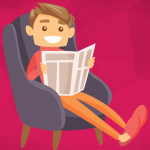 A story describes a single state of a component (like a visual test case). 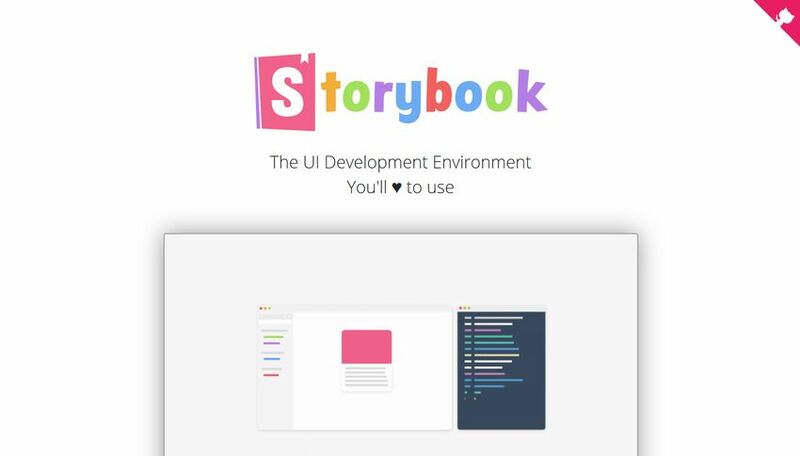 A component can have many stories and a Storybook usually contains many components. 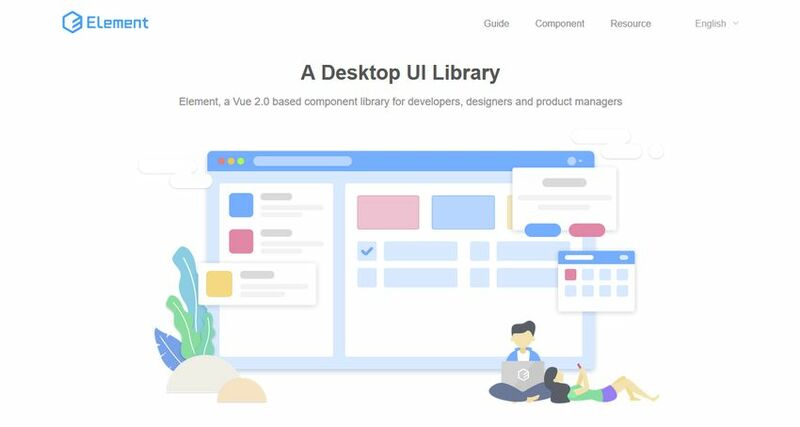 Check out the Storybook for Vue page that shows how you can get it up and running with Vue.js. Vue.js is one of the most well-supported projects in the open-source world. This collection was just a small selection of all the Vue.js tools and resources you can find on GitHub and other developer sites. If you want to learn about Vue.js more, also have a look at our tutorial about how to create a data table in Vue.js. And, if you are more interested in React development, we have a React.js tools collection that you might find useful, too.